Serving the area since 1981, Old Smokeys has the latest designs and models of fireplaces and stoves. We are committed to providing excellent customer service. Old Smokeys new superstore is 20,000 sq. ft. The showroom is 8,000 square feet and features 80 displays of burning fireplaces, wood and gas stoves, gas logs, chimney pots, marble mosaics and much more. Stop in and feel the experience of a cozy fireplace or hearth stove. Our knowledgeable and experienced sales staff can help you design any fireplace or stove setting. We are committed to providing excellent customer service through ongoing certifications and training of our technicians and staff. We are members of the Chimney Safety Institute of America, the National Chimney Guild and the Hearth, Barbeque and Patio Association. Just west of I-69 at Exit 140, Ashley, Indiana. Old Smokey's Owner Kevin Delucenay received The President’s Award in 2003 from The National Chimney Sweep Guild. This award is given to only one individual each year in recognition for their contributions to the industry. See some of Kevin's work. 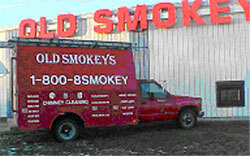 Kevin DeLucenay began Old Smokeys out of his home in 1981 as a chimney sweep service. The company has since grown to become the technology leader in the industry. In June 2004, Old Smokeys moved into a 20,000 sq. ft. facility located just off I-69 Exit 140, Ashley, Indiana. Old Smokey’s showroom features over 80 displays of the latest models of gas, wood and corn stoves, and gas and wood fireplaces available. We carry a huge assortment of accessories from the European copper chimney pots as viewed on the Masterpiece Homes Virtual Villa Model Home Tour, to fireplace doors and gas logs, to custom, hand-made imported mosaics. Our experience speaks for itself when dealing with our knowledgeable staff who can help design any fireplace or stove setting for your new home or remodeling project. We have recently expanded into outdoor living by building custom decks, patios, gazebos and porches. Our Ring of Fire, featuring fire and water together, made headlines at the Home and Garden show last year. We are committed to providing excellent customer service. At Old Smokeys, we have systems in place that guarantee: on-time service, quality service, and service you can trust. We call this Old Smokey’s Triple Guarantee Program. We also pride ourselves on being current in the industry through ongoing certifications and training of our technicians and sales staff. We are members of the Chimney Safety Institute of America, the National Chimney Guild and the Hearth, Barbeque and Patio Association. 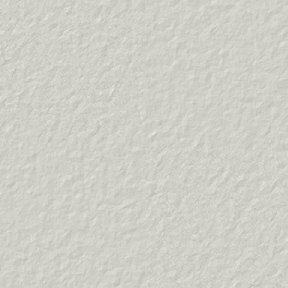 We also belong to the Fort Wayne Home Builders Association and the Builders Association of Northeast Indiana.